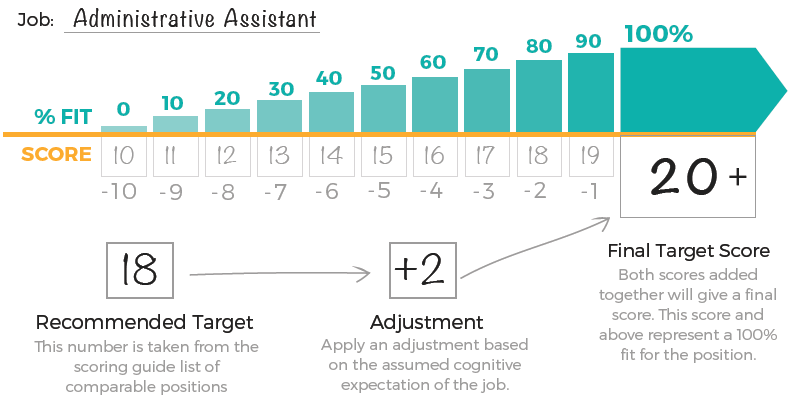 What is the Predictive Index Cognitive Assessment™? Why The Predictive Index Cognitive Assessment™? This 1 hour online training session provides you with the fundamental knowledge to effectively glean meaningful insights from the results of this assessment. An expert facilitator will walk you though generating Cognitive Target scores for your roles as well as best practices for implementation and administration of the assessment. In North America, approximately 60% of employees are not engaged in the workplace. By using data-driven tools to select people with the natural abilities to succeed, it becomes easier to foster a workplace of employee engagement. 78% of resumes contain misleading and embellished information. Accu-Screen, Inc., ADP, The Society of Human Resource Managers (2012). 31% of organizations have reported that the length of their recruitment process has led to the loss of potential recruits. Chartered Institute of Personnel and Development (CIPD) Resourcing and Talent Planning Survey (2012).